Aesthetics and material durability are closely related in consumer-facing industries such as the automotive industry. In addition to designing an aesthetically pleasing interior environment, manufacturers aim to create an interior with durable components to stand up to long-term use. This blog post covers the different mechanical tests used to ensure automotive interior parts pass the test for aesthetics, quality, safety, and durability. Tensile testing can be performed on a variety of automotive parts. Two components commonly tested for tensile properties are textiles and interior plastic components. 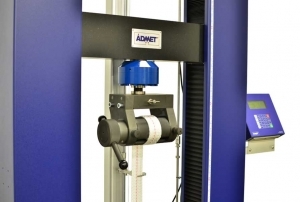 A universal testing machine can be used to measure tensile properties such as the breaking strength and elongation of seating textiles, airbags, and plastic components. Seating textiles can be tested following the strip test or the grab test method where specimens are cut into strips and pulled apart to measure how much force is required to break the strip and how far they are stretched until rupture. Seam strength tests are also applicable to fabric materials and threads used to sew seating upholstery. 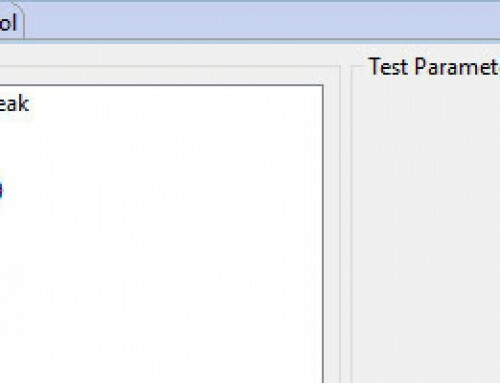 Read our Fabric Strength Testing blog post for detailed information on these test types. Seat belts, safety devices we all rely on, also need to be tested to assure compliance with a variety of international regulations and standards. Seat belts reduce the average impact force and extend the stopping distance; without a seat belt, the stopping distance is about five times greater once the car comes to an abrupt stop. According to the National Highway Traffic and Safety Administration, the use of seat belts saves about 15,000 people every year in the United States. In fact, wearing a seat belt correctly while riding in the front seat reduces the chances of a fatal injury by 45%. 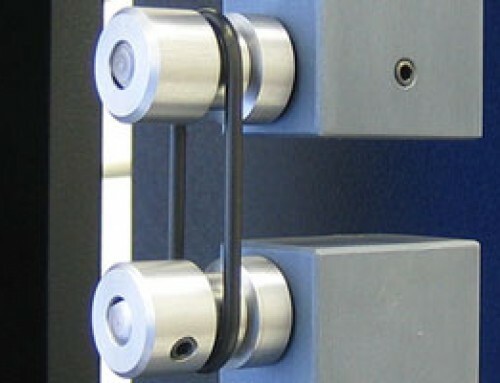 Tensile testing of seat belts includes testing the webbing breaking strength and elongation. While a high breaking strength is desired, the elongation percentage of the seat belt material should not exceed a certain value. 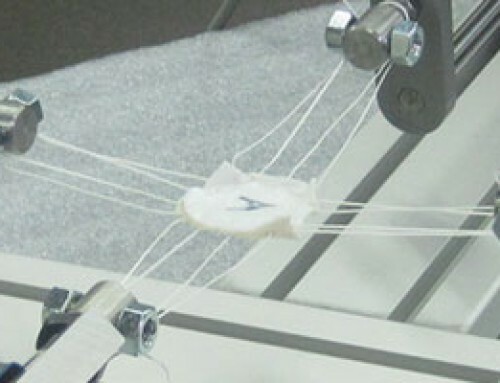 A system setup for seat belt tensile testing includes webbing grips which allow the specimen to be rounded around the grip drum and then secured with locking pins. Webbing grips are categorized by the drum diameter and the required range of specimen dimensions. ADMET’s standard line of webbing grips can go up to 200kN in capacity. Plastic components used in the automotive interior are chosen from lightweight materials to ensure higher fuel efficiency. These parts still need to be durable and strong and thus need to be tested to meet quality standards. The most common ASTM testing standard for plastic materials is ASTM D638 which measures a variety of properties such as tensile strength, elongation at yield, elongation at break, nominal strain at break, Modulus of Elasticity, and Poisson’s Ratio. Note that an extensometer is recommended to measure the elongation of plastic components if ASTM D638 is performed. For Poisson’s ratio calculations, a transverse extensometer is required. 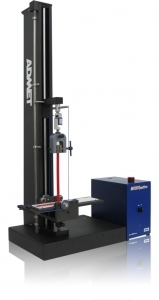 A servo-controlled universal testing machine capable of keeping a constant rate of speed is recommended for running tensile tests on automotive interior parts. The eXpert 7600 single column testing machines can be used for lower force applications while the eXpert 2600 series dual column electromechanical testing systems have a broader range of force capacity, from 0.22kN (50lbf) to 400kN (90,000lbf). 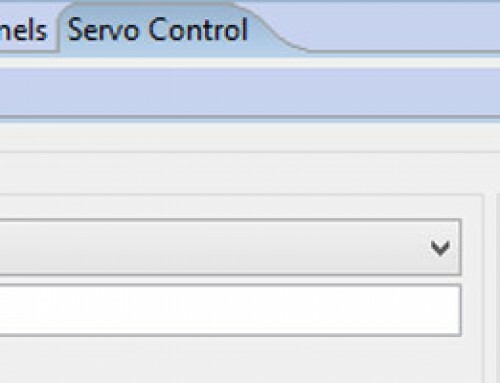 In addition, eXpert 1600 series servo-hydraulic frames offer capacities up to 600kN (135,000lbf). Compression testing determines properties such as compressive strength and deflection. Testing in the compressive direction is applied in static as well as in dynamic or cyclic test setups to provide the most accurate data depending on the use of material in the automotive interior. Console lids, glove compartments, cup holders, and similar assemblies are often supported with rubber bumpers to avoid rattling or even breaking. The rubber material is tested in static compression to ensure the right amounts of resistance and deflection occur when parts get in contact with the bumper. 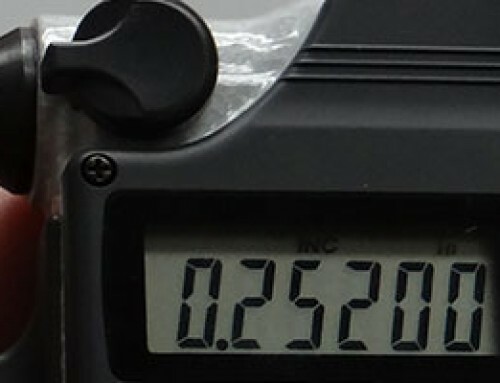 A universal testing machine with compression platens can be used to test rubber bumpers. 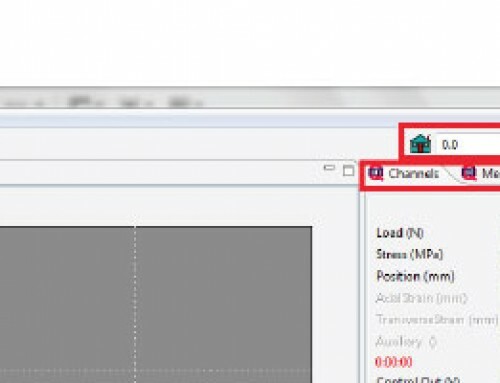 In addition, a deflectometer or a displacement transducer can be used to measure deflection characteristics. Seating cushion, a highly important piece for comfort in any automobile, is tested both in static compression and cyclic compression. Testing the seating cushion using the IFD (indentation force deflection) method determines the firmness, stiffness, and load bearing capacity of seating foam products. The eXpert 5600F foam testing system can perform IFD tests as well as tensile, compression, elongation, recovery time, and tear measurements. Dynamic tests on seating foam products can be run on the eXpert 5900F fatigue foam testing system, which can conduct fatigue tests in addition to performing the same tests as the 5600F testing machine. 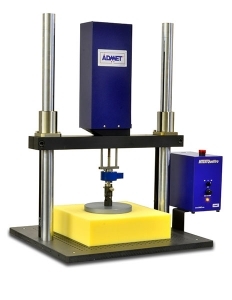 These machines and ADMET’s software exceed international testing standards and can perform ASTM D3574 and ISO 2439 as well as other foam testing specifications. Peel tests are recommended for ensuring there is adequate bond strength between two pieces of material that have been glued or bonded together for the life of the product. Peel tests are run on door panels with the textile or leather glued to the trim as well as on HGV curtains and straps. Common peel tests include 90-degree peel testing, 180-degree peel testing, the climbing drum peel test, and the floating roller peel test. Each test can be performed using the same universal testing machine with adequate force capacity and different fixtures made specifically to run a certain type of peel testing. Click here for ADMET’s peel fixtures. Need help finding the right testing equipment for your automotive products?